If you’ve experienced storm damage to your business and are seeking answers, we can help. Let our experienced damage consultant stop by to conduct a FREE INSPECTION, and provide information about the scale of your damage, what insurance can cover, and how we can fix the damage to your business as quickly as possible. 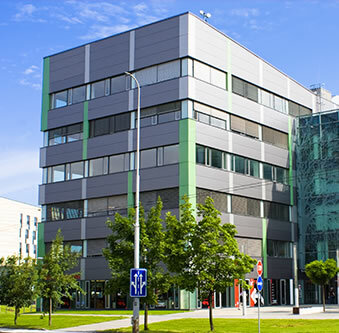 Escex provides quality commercial restoration services. We restore and do quality roofing for commercial property such as businesses, churches and apartments and townhome complexes that has structural damage due to hail, wind, water, fire and smoke. We’ve helped thousands of businesses through the storm repair process. In doing so, we’ve developed a deep understanding of how to meet the needs of business owner at any scale of repair. Our focus is to make the insurance and restoration process straightforward and stress-free for our customers. When hiring Escex, you get the advantage of a restoration company that utilizes the highest quality materials, exceeds industry standards and provides exceptional service. We go into every job taking the high road and ensuring every aspect of the project is well managed, and well executed. We back our work with warranties and a long-lasting labor guarantee. Our goal is to exceed your expectations! Most business owners have never set foot on their roof and may not ever think about it until something goes wrong. When a storm strikes or the roof is leaking from old age, you’ll need someone you can trust to get the job done right, on time and within your budget. 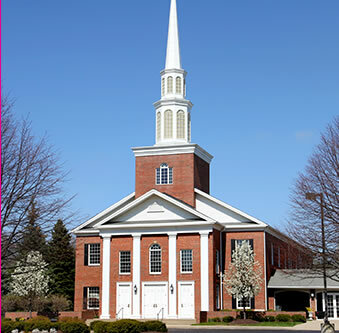 The local church or place of worship is a cornerstone for many communities. By protecting the exterior of the church or place of worship, you protect the interior, too. Parishioners can take solace that their fiscal contributions are being put back into something that the entire congregation can benefit from. 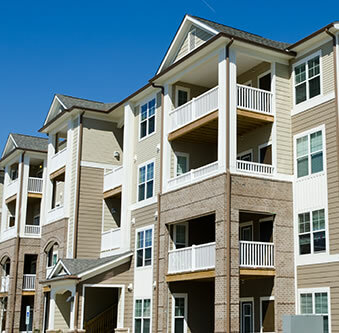 The exterior of your apartment complex is your first impression to potential tenants. A nice looking, quality exterior appearance shows people that you take pride in caring for your property both inside and out. With services from Escex you’ll be able to attract new tenants and increase your property value. In today’s housing market, every opportunity to maintain or increase property value is critical. Exterior roofing and repair services from Escex will allow you to attract new buyers or renters and enhance the overall look of your property and neighborhood. Townhome communities pay annual association fees for general upkeep services and repairs. Oftentimes, residents may not see what their money goes toward. 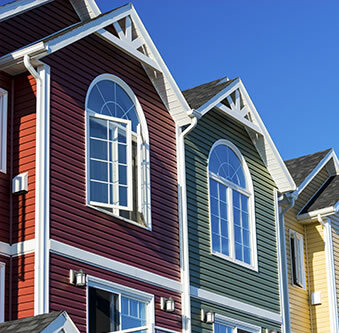 Roofing and repair services are a sound investment in your townhome community.